Already own a home in the Edington Place subdivision? Thinking of selling? Click here and read about current search trends & our web network. 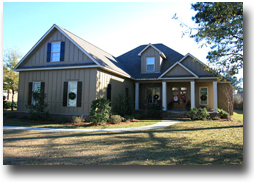 Edington Place homes for sale in Fairhope, AL are all listed on this page and along with current listings, is an interactive Google map, pictures, property details and other useful sales info for the homes in Edington Place. This is a community just outside of downtown in the rural area of Fairhope, AL. The subdivision is 2.5 miles East of Mobile Bay and about 1 mile East of Hwy. 98. This area is close to Mobile, AL and Pensacola, FL both of which have regional airports and numerous activities. Edington Place is a popular area of Fairhope and this can easily be realized by the number of real estate transactions in the past few years. Fairhope has consistently been named as one of America's best places to live and is full of culture and great seafood and many other amenities making this a wonderful place to call home. If you need further info, have questions or would like to schedule a viewing for any of the homes for sale in Edington Place or any other properties in the area, please email info@condoinvestment.com or call (251) Area-Pro (251-273-2776) for immediate assistance.